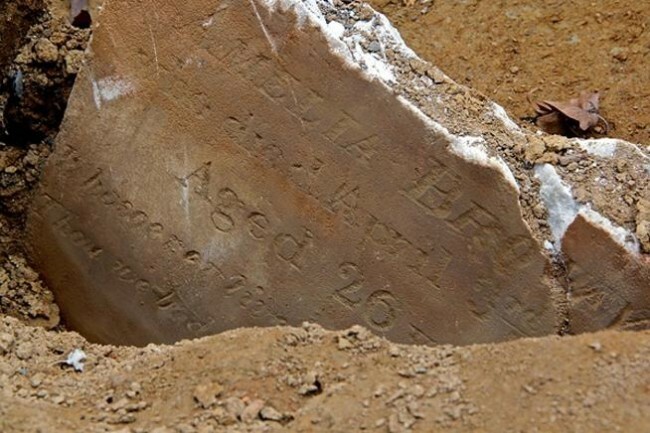 Andrew Brown died of Typhoid Fever on 13 Jan 1849 and was buried at Bethel Burying Ground. Mr. Brown’s occupation was that of an iron melter. 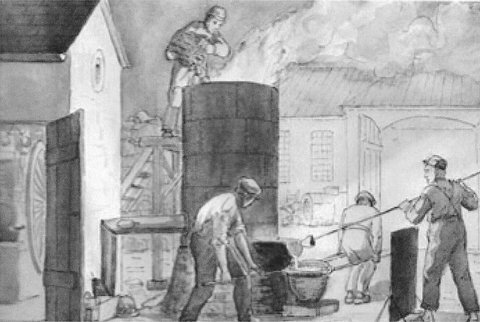 He likely would have worked in an iron foundry feeding a Cupola Furnace as pictured above. A grueling job at best and in the heat of the Summer it would have been hellish. According to the 1847 African-American Census, Mr. Brown was paid $7.50 a week for his labor. His spouse brought home $1.50 a week as a wash woman. With this they supported their four daughters and paid a monthly rent of $4.50 for a set of 3 rooms in the 1200 block of Pearl Street near 12th and Vine Streets in what is now known as the Chinatown district of the city. For more information on the foundry industry during this era in Philadelphia, please go to – Edwin T. Freedley, Philadelphia and its Manufactures and Elizabeth M. Geffen, “Industrial Development and Social Crisis 1841-1854,” in Philadelphia: A 300-Year History, 307 – 362. Both are available at GoogleBooks.